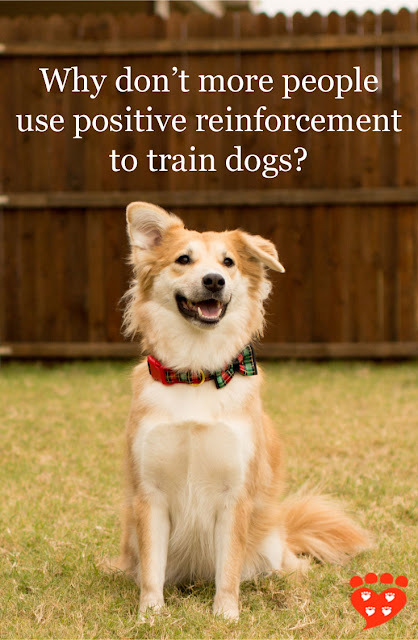 Why Don't More People Use Positive Reinforcement to Train Dogs? Everyone who has a dog needs to teach them how to behave. But why do many people still use methods that have risks for animal welfare? A new paper by myself (Zazie Todd) looks at the barriers to the adoption of humane dog training methods by ordinary people. To understand how people make decisions about dog training, we need to understand people’s attitudes to different methods and what influences them, as well as people’s knowledge and technical ability in using those methods. Humane dog training methods use positive reinforcement and negative punishment. 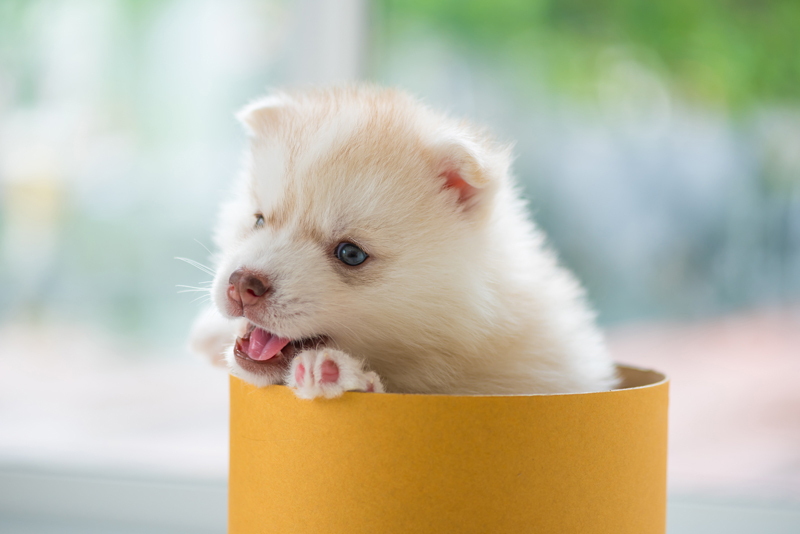 They are also known as reward-based methods, positive reinforcement, or force free methods, and they basically involve giving or withholding rewards contingent on the dog’s behaviour. There are many reasons to use humane methods rather than aversive ones (which, technically speaking, are positive punishment and negative reinforcement). 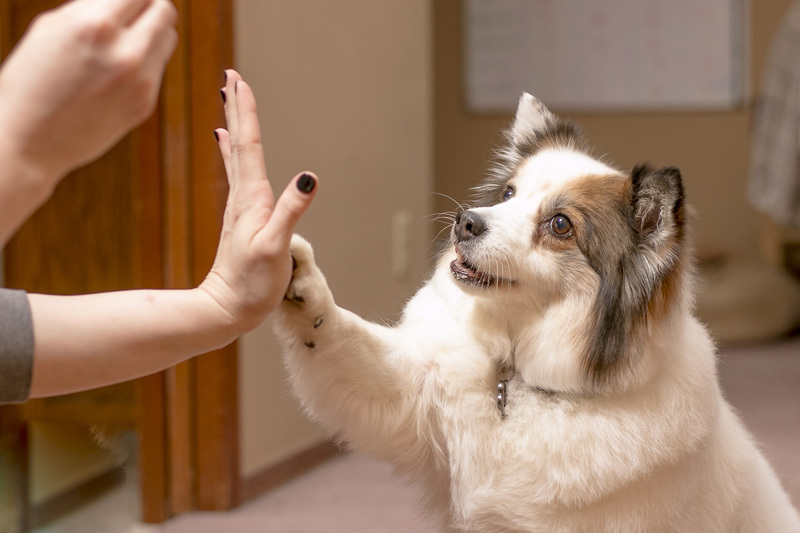 The use of reward-based dog training methods is associated with better welfare, and there are some indications it may even produce better results (see the dog training research resources page if you want to delve into the literature). Some behaviour problems are due to fear or stress, but aversive methods do not resolve this (and may even make it worse). Some problems occur because the dog does not have appropriate ways to engage in normal behaviour (e.g. chew toys). And training with positive reinforcement can be a good way to provide cognitive enrichment, which is important because good animal welfare includes positive experiences. But studies show most ordinary dog owners use a mix of positive reinforcement and positive punishment to train dogs – so-called ‘balanced’ dog training. From an animal welfare perspective, it’s important to understand why many people continue to use aversive methods at least some of the time – and how we can bring about change. Many different factors will affect people’s attitudes towards training methods and the actual methods they use. The paper considers these factors, and in some cases it draws on the literature related to children and parents’ use of corporal punishment, which has been more extensively studied. Many people (including some dog trainers) still use the idea of dominance to train dogs. Unfortunately, this frames the dog-owner relationship in antagonistic terms, and so may encourage people to use aversive methods. There is no regulation of dog trainers, and no requirement for education. This means some people who hire a dog trainer may get out-dated advice. Some trainers may not be clear about the methods they use on their website, which may make it difficult for people to find a reward-based trainer. Amongst dog trainers who do use reward-based methods, there are a few points of disagreement. One relates to the use of no-reward markers. This is a word or phrase (e.g. “Too bad!” or “Oops”) that signals to the dog the behaviour they did was not the one requested, and hence they didn’t earn a reward. Some dog trainers use them, and some don’t. For most people, errorful learning with prompt feedback is more successful than error-free learning (the exceptions include those with amnesia). But we simply don’t have good data on this for dogs. Another point of disagreement relates to the use of negative punishment. Negative punishment means withholding a reward so the frequency of a behaviour goes down. One example is withholding rewards when a dog does not perform the right behaviour (which is inevitable some of the time). Another example is the use of ‘time out’. Evidence-based parenting programs teach ‘time out’ as a non-aversive way to improve children’s behaviour. We know there are some common mistakes parents make, and it seems likely dog owners make some of the same mistakes with their dog (for example, using many warning cues instead of just one before implementing the time out). The legality or otherwise of certain methods (such as electronic shock collars, which are banned in a number of countries) will affect perceptions of whether or not it is okay to use them. The different positions taken by professional bodies, including veterinary associations, dog training associations, animal behaviour associations, groups that train working dogs, rescues and shelters, may also affect people’s perceptions of social norms about dog training. Some organizations have clear position statements on dog training methods. But when some organizations include aversive methods as a ‘last resort’ it may give people the mistaken impression they are sometimes necessary, or that there is not a scientific consensus on the best methods to use. There’s also an issue of competency, since technical expertise etc. may affect the success of attempts to train with positive reinforcement. We don’t know how dog trainers or owners make decisions when they think positive reinforcement isn’t working; that is, whether they take advice or find someone with more expertise, or whether they decide to use positive punishment instead. Veterinarians also have an important role to play in referring dog owners to trainers and animal behaviourists. Advice for veterinarians stresses the importance of positive methods, but again some organizations allow for some methods to be used as a ‘last resort’. Of course, many factors relating to dog owners themselves will also influence their choice of training methods. These include their technical skills and the reinforcement they use (which will affect their success rate), their knowledge of dog training methods, methods they have seen promoted on TV and elsewhere, people’s ability to read their dog’s body language (e.g. to recognize if the dog is fearful), and personality characteristics. Unfortunately the quality of information in dog training books is highly variable and the same likely applies to other sources of information such as TV and the internet. All of this shows that encouraging more people to use humane dog-training methods is a complex issue. But a model from social psychology known as the reasoned action approach (and its predecessor the theory of planned behaviour) has been quite successful in predicting people’s intentions and behaviours in a wide range of topics – including parents’ attitudes to and use of corporal punishment. This would be a good fit for investigating what influences people’s choice of dog training methods. I would love to see more research on the best ways to encourage people to use reward-based training methods, and how best to teach them. What do you think would encourage more people to use humane dog training methods? Love Companion Animal Psychology? Did you know you can support me on ko-fi? Ko-fi is like a tip jar that lets you buy a coffee for creators whose work you love. Todd, Z. (2018). Barriers to the Adoption of Humane Dog Training Methods. Journal of Veterinary Behavior: Clinical Applications and Research. 25C(28-34). My impression is that one reason why some people don't use positive approaches is because it's easier. As with dogs, there must be a reinforcer that maintains that punishing behaviour. As Susan Friedman puts it, in order to be likely successful, an alternative behaviour must yield better outcomes with less effort. Since you need to know what's reinforcing to your dog in different situations and to different extends, it's easier to just 'shoot the dog' (Karen Pryor's book) because doing harm to your dog is easier. You needn't know much and you needn't be pretty capable of anything to choke, kick, abuse a dog. Plus, you needn't rig up a training plan and reinforce good behaviour. Just wait for the dog to perform unwanted behaviour, and kick it. So it's less time consuming to owners compared to positive approaches. That was exactly my thought as I was reading the article. It's easier and the results are more instant. It's like comparing traditional medicine to alternative medicine: traditional treats the symptoms and is quicker to see results and easier to administer while alternative holistic solutions take longer because they resolve the issue from where the problem begins (the cause), so progress can't immediately be seen. My thoughts exactly. People are lazy and want instant results instead of putting in the work to establish a trusting and balanced relationship with their dogs. I have a friend whose heart is in the right place but totally bought into a trainer that uses shock collars ("only for a little while!") AND prong collars. I was so disappointed in her. He also uses a tool he calls a corrector which she said is like a can of compressed air, the sound scares her dog. Personally, I don't want my dogs doing what I want because they're afraid of the alternative. I wish she wasn't referring him to everyone she knows and telling them he works miracles. I think his methods are awful. My trainer is all about communication and positive reinforcement. Definitely a longer process and requires a lot of commitment from the owner but in my opinion, the ONLY way to train your dogs. And no, mine aren't perfectly trained and that's OK by me as long as they know the basics. They are happy and well balanced and NO FEAR in my house. I think we are impatient and uneducated. Thankfully, thanks to articles like this the education part is slowly but surely being rectified. But rather than wait for the dog (or child) to come to the conclusion themselves, we just jump in and do it for them. People use force free methods in marine mammal and zoo training because you cant put those animals on a leash - you aren't MAKING the komodo dragon do anything it doesn't want to do. But dogs and cats? Well, they can be touched, and hit, and jerked, and pulled, and shocked, etc. Unfortunately, those methods have delayed negative side effects (as you see when the elephant kills the trainer or the dog bites a child or the cat pees outside the litterbox). Because of the delay, people generally don't associate their rough training methods to the reason Fido bit a kid. But they should. So I suspect that many people are turned off by what they perceive as 'stuff food in their mouths so they behave' training.